I got the chance to try out something that I didn't know that I needed but now I cannot live without. The Tuna Squish is a wonderful item to have. 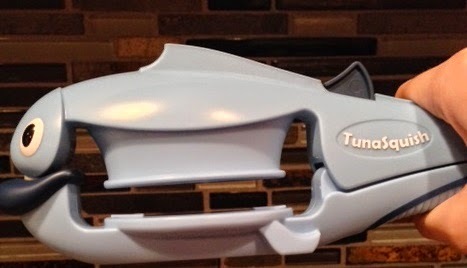 It let's you open canned tuna without getting it all over you. The handheld can press drains the liquid and removes and ejects the lid without you ever having to touch it. It's such an ingenious invention and it works for other cans as well. I don't know how I ever lived without it. 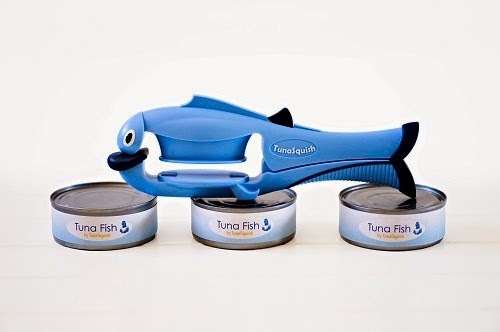 I have always hated draining tuna cans, i would love this! I really dislike tuna juice all over my hands, would love to win! This is so cute and looks like the perfect solution to draining any type of can and not making a mess. I love this! It's too cute! I would love having it in my kitchen.